There are a multitude of ways SMEs can grow their business online, but without having the right foundations in place, small businesses risk wasting their limited marketing budgets. 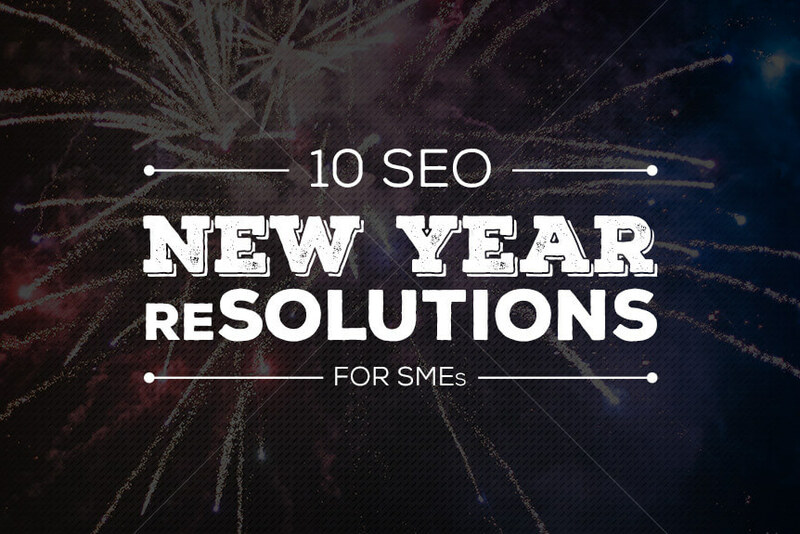 To help ensure growing enterprises maximize their online marketing investment, mad4digital, the online marketing agency for SMEs, has crafted 10 SEO reSOLUTIONS for SMEs ideal thought-starters for those keen to improve their online presence in 2016. You may not have the budget to follow up on all the items on our list, but with a little motivation, focus and consistency in purpose, starting with just one of the items listed is a step in the right direction. Include SEO in your New Year’s resolution and get your business on the road to digital marketing success. Thin content on your website is bad for SEO. It offers limited value to the reader and is therefore de-prioritised by Google. Improve your online presence by fattening up your content with information that is relevant to the reader and Google will love it too. Give your website a health check by testing your page loading times, broken links, mobile responsiveness and other technical functionalities. They may have been impacted by the constant changes Google makes to its algorithm. Appearing naturally in search results costs nothing. Earn your position online by getting your brand listed in key search phrases that are relevant to your offering. Get help from digital marketing experts who can help you quickly navigate the online marketing landscape. Most reputable digital marketing agencies offer free marketing consultations for SMEs. Work with a digital marketing agency that’s willing to coach you on how to use digital marketing for your business. In the long run, it’ll help you to be more self-sufficient. Engage in social media to get closer to your customers. Focus on at least two platforms that are most relevant to your brand. Schedule time to post and respond to messages quickly. Invest in building a clear identity for your brand – this includes your logo, the images you use and your overall customer experience. Ensure all elements of your product/service are consistently applied across all touch points. Focus on running your business and get online marketing support, by accessing digital marketing expertise, on a pay-as-you-go basis. PAYG Marketing support is contract free – just tap into the service when you need it. Eliminate marketing practices that are delivering limited value. Sometimes, a lower cost activity takes as much time and effort as a higher cost activity that delivers better results. Choose wisely; it may be better to do a few activities that get results rather than spreading yourself thin. The internet is the most powerful tool SMEs have to effectively compete, irrespective of your size or budget. Plug into the network and team up with a digital marketing agency that understands the challenges small businesses face. mad4digital is committed to helping SMEs get self-sufficient online. Contact us today at enquiries@www.mad4digital.com for a free consultation on how you can get started with your New Year SEO ReSOLUTIONS.